Are you one of the millions of Americans who is either nearsighted or farsighted? Have you been told you have astigmatism? Most likely, you have been prescribed glasses or contact lenses to help improve your vision. What if there was a way you could restore your vision so glasses or contacts were not necessary? There is a way – LASIK eye surgery has successfully restored vision to millions of people. LASIK, or Laser Assisted In-Situ Kertomileusis, is a procedure to correct vision that uses a special laser called an excimer laser to reshape and correct problems of the cornea without hurting the surrounding eye tissue. Any surgery that corrects problems with the cornea and the focusing of light onto the retina is called refractive surgery. Because of the use of lasers, LASIK can be performed during a fairly short outpatient procedure. LASIK surgery is performed on over 700,000 Americans per year and over 95% of the patients worldwide who have the procedure report high levels of satisfaction with the results. LASIK surgery is an FDA approved procedure which involves using lasers to reshape the cornea. The cornea is important to vision because it focuses light to produce images on the retina, a process called refraction. If the cornea is misshapen, which is common, the image is distorted. 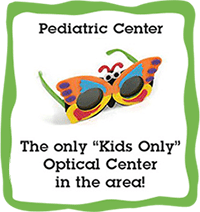 As a result, people may experience myopia (nearsightedness), hyperopia (farsightedness) or astigmatism. A flap is cut in the cornea during LASIK surgery. This flap can be lifted back so that the ophthalmologist is able to work on the stroma, or middle layer of the cornea. Using the excimer laser, your Concord ophthalmologist is able to reshape the cornea without damaging the surrounding eye tissue. This helps correct vision problems resulting from refraction problems. When a trained, experienced ophthalmologist performs LASIK surgery, the results are evident very soon after the surgery. Recovery from LASIK is much quicker than other conventional surgeries. Once the corneas have been reshaped through LASIK, vision becomes more clear and focused. Corrective lenses or contacts may no longer be necessary, or if necessary, only for very specific tasks. LASIK surgery and other laser surgeries to improve eyesight require the experience of a highly qualified ophthalmologist. We believe that LASIK surgery is not the best option for all patients for there may be alternative laser procedures that are more appropriate but this can be an option. The best way to determine if LASIK is right for you is to make an appointment at the best eye care center in Concord and north Charlotte. Your ophthalmologist will give you the information necessary to know ifLASIK surgery is right for you.